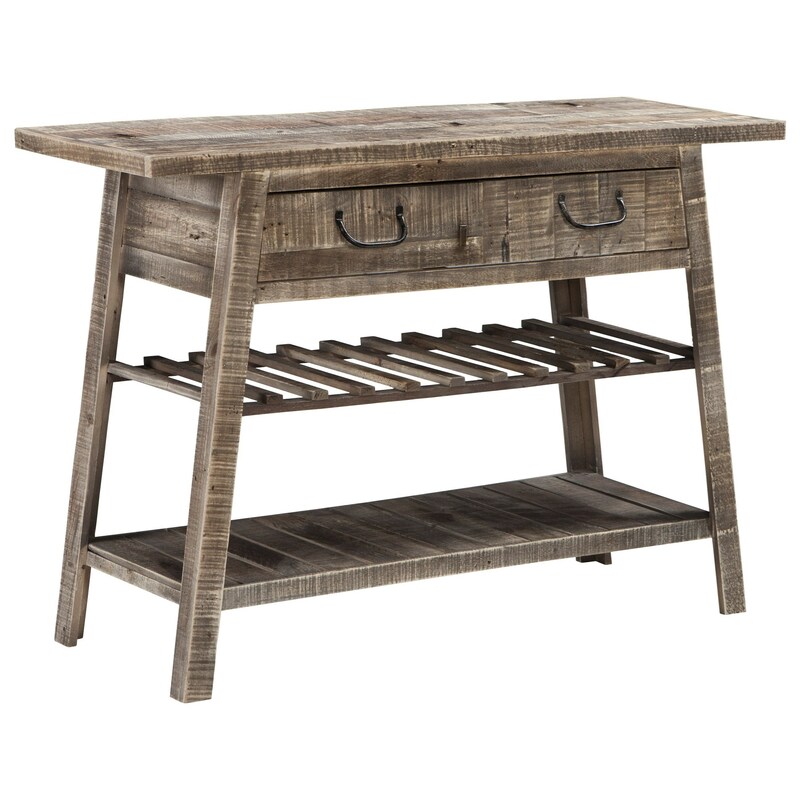 This console table will bring a relaxed feel to your home, thanks to its mixture of classic cottage styles and laid-back country look. The washed gray finish of the wood gives it a charming weathered appearance, while the drawer and two shelves - one of which is perfect for displaying wine bottles - makes this piece a must-have storage piece in almost any room in your home. The Camp Ridge Relaxed Vintage Console Sofa Table by Signature Design by Ashley at A1 Furniture & Mattress in the Madison, WI area. Product availability may vary. Contact us for the most current availability on this product.